Back in 1995, Americans become uncomfortably aware of the concept of the home grown terrorist when a disgruntled Timothy McVeigh brought down the Murrah Federal Building in Oklahoma City with a truck full of explosives he put together himself. Since then, acts of political terrorism have occurred with regularity, though perhaps not as often as one might expect if the terrorists were as organized and brainy as portrayed in the mass media. But after reviewing the recent history of calamitous economic events, we wonder if perhaps financial terrorism is even more destructive than the traditional brand? Let’s take a look at the problem. Even if we only go back 20 years, the list of corruption, larceny, and incompetence has negatively effected far more lives than simple-minded terrorists with bombs and guns. 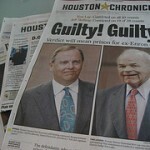 The early 1990’s gave us The Keating 5 scandal and the collapse of Enron. The former involved big name senators improperly pressuring the investigation of Charles Keating, a savings and loan chairman who was being investigated by the Federal Home Loan Bank Board. Three of the senators received reprimands and two (John McCain and John Glenn) were accused of exhibiting poor judgment. To no one’s surprise, Keating had made substantial contributions to all the senators’ campaigns. 23,000 bondholders were defrauded and many elderly lost their life savings. 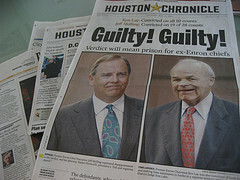 Regarding the latter, creative accounting drove Enron’s stock price from a high of $90 down until the company filed for bankruptcy, taking thousands of employees and investors life savings along with it. The list could go on but we’re beginning to find a point amidst all this corruption and scandal. On the face of it, dare we postulate that the financial terrorism foisted upon the heads of a trusting public have had more far detrimental effects than anything a few ragged desert malcontents have managed to conjure?